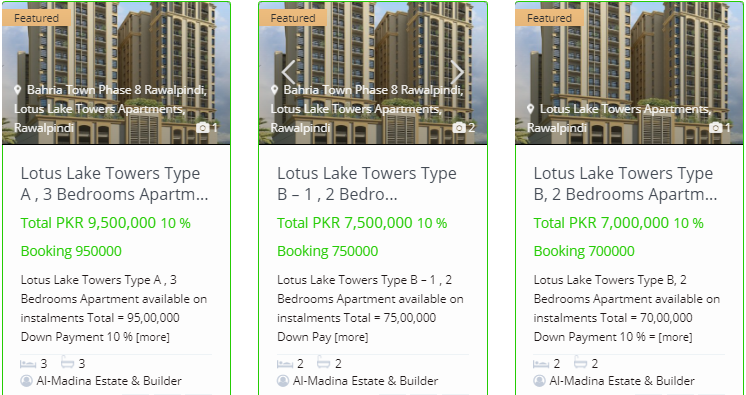 Zarkon Heights Islamabad is Located near M-2 and Metro Station, Zarkon Heights Islamabad is just minutes away from the New International Islamabad Airport, GT Road, and Zero Point comprising of apartments. This nearness to the main points of Islamabad with provision of latest facilities . Completely safe environment makes Zarkon Heights Islamabad the most desirable residential community in the capital city of Pakistan. Highly attractive for those people who need Luxury standard living and Basic accommodation need of a family.Unique floor planning with different bed sizes apartments is available to meet all living requirements of families i.e One,Two,Three & Four Bed Appartments Also ideal for the Tours or business travelers. 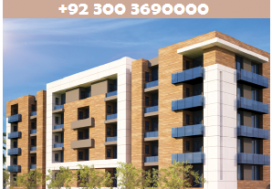 Zarkon Heights is a gated Comunity of Heights complex composed of Ground + Nine Floors towers of International standard designed luxury apartments. Zarkon Heights Islamabad has been Approved NOC from CDA with reference CDA/ARCH-6(ZH)/P-ZH/G-15/2017/25. 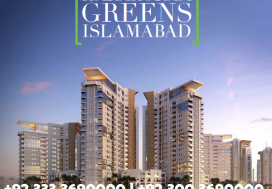 The project is located on Main G.T Road in Sector G-15 Islamabad. 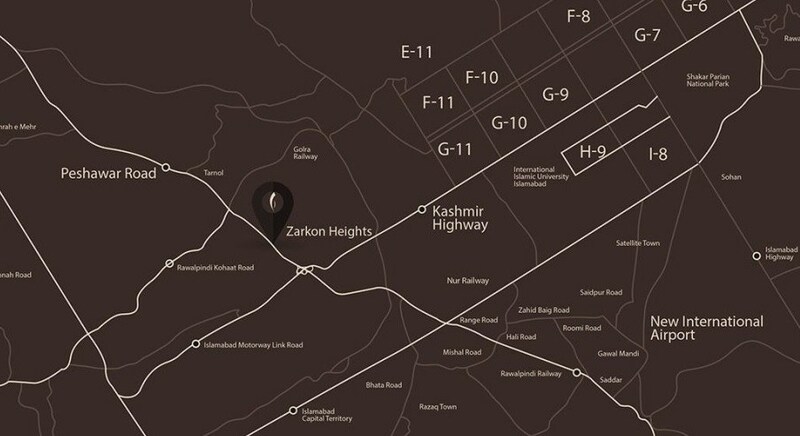 Zarkon Heights Islamabad is on 20 min drive from New Islamabad Airport, Blue Area Islamabad & Saddar Rawalpindi and a 10-minute drive to motorway toll Plaza. Absolutely stunning. 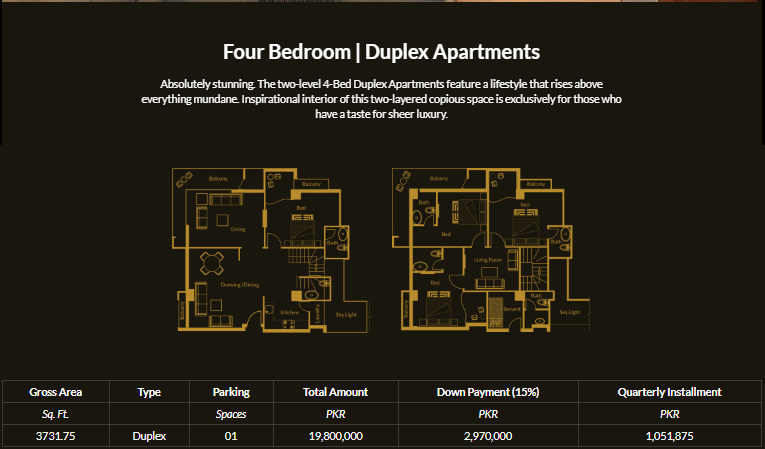 The two-level 4-Bed Duplex Apartments feature a lifestyle that rises above everything mundane. Inspirational interior of this two-layered copious space is exclusively for those who have a taste for sheer luxury. Bahria Town Phase 7 Rawalpindi. 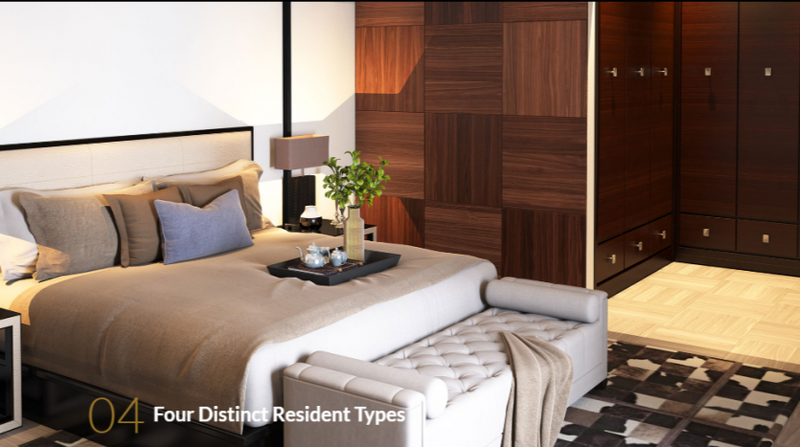 Plush apartments with remarkable space utilization and absolute flow of natural light make for a gorgeous living. 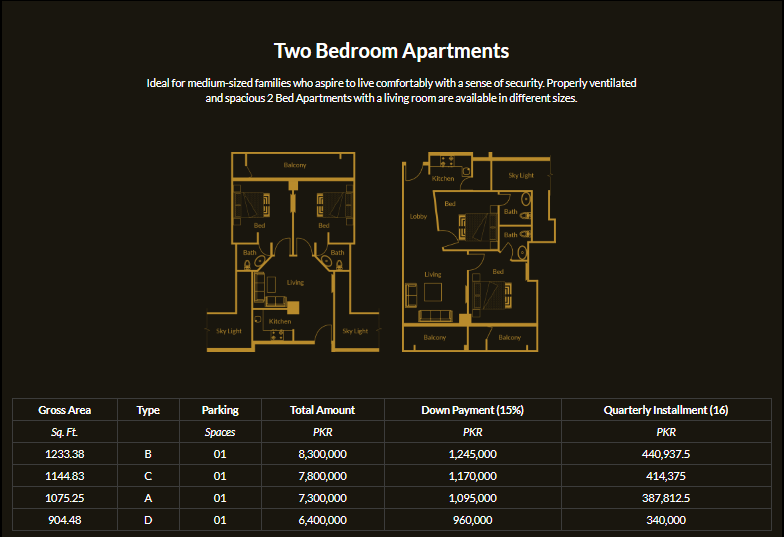 Ideal for a large family, 3 Bed Apartments are available in different dimensions. Ideal for medium-sized families who aspire to live comfortably with a sense of security. 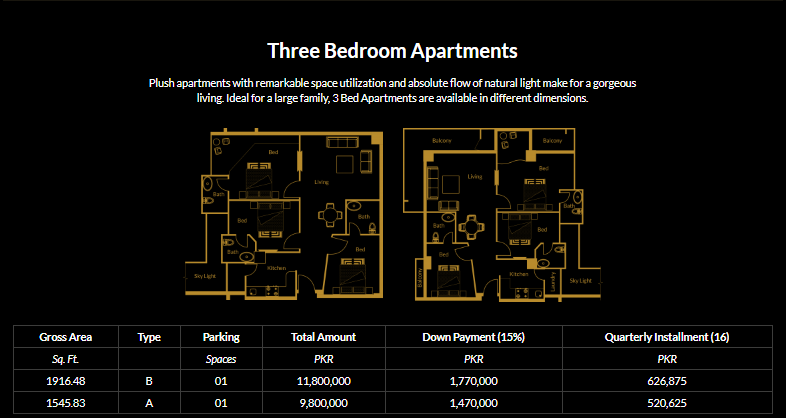 Properly ventilated and spacious 2 Bed Apartments with a living room are available in different sizes. Purpose-built for single accommodation, small family and travelling businessmen vying for a smart lifestyle. 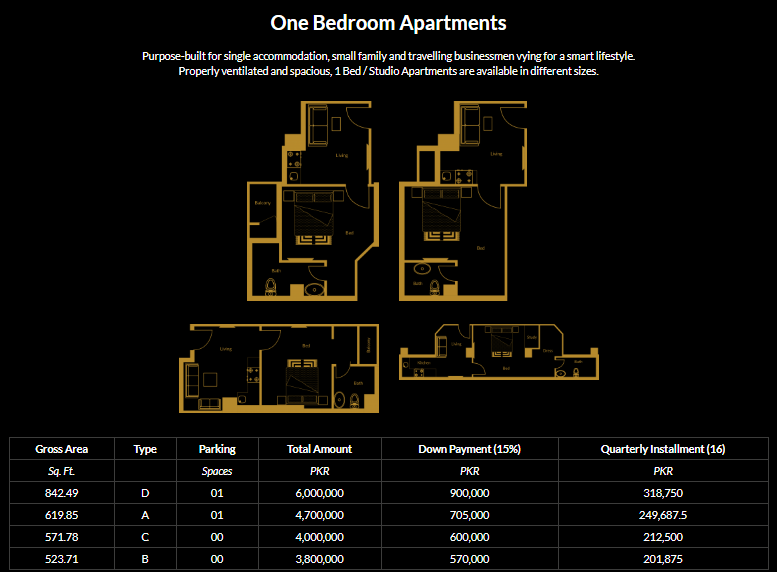 Properly ventilated and spacious, 1 Bed / Studio Apartments are available in different sizes. Zarkon Heights Islamabad is located in Sector G-15 Islamabad. ZARKON HEIGHTS has dream location as it is near to Motorway, G.T. Road and New Islamabad International Airport Islamabad. Location of the project is ideal as it is surrounded by all modern amenities like schools, colleges, offices, parks, grounds, commercial centers and top road links. • Recreational Activities i.e. Clubs & Cafe etc. Zarkon Heights features a world-class school where foreign qualified faculty imparts globally competitive education to students in a top-notch environment comprising of modern classrooms, sports facilities, CTI, science labs as well a central library. Zarkon Height’s centrally air-conditioned mosque is designed on the concept of ‘wussut’, a distinctive philosophy of Islam. With a capacity to house thousands of worshippers, the mosque’s interior is designed to evoke a sublime sense of spirituality. Zarkon Heights’ state-of-the-art Community Center glitters like a diamond in the heart of this complete lifestyle community. Decide a theme for your family, social or corporate event and our team of experts will craft an event for you that will remain a part of your cherished memories. Hospitality is the very core of eastern culture. Zarkon Heights is probably the first residential community in Islamabad that features a 14-story luxury hotel for the convenience of our residents, their guests and visitors to the capital city. Commodious lobbies, plush rooms, 24/7 concierge and excellent service guarantee a memorable stay. Zarkon Heights welcomes you to a world of lavish living. The moment you drive past its grandiose entrance, a sprawling landscape, an immense parking area, palatial lobbies and a welcoming staff imprint a lasting impression on your mind. The effect captures your heart and keeps it captivated forever. Twenty-four-hour security and superior maintenance services give you and your loved ones the satisfaction and peace of mind you won’t find anywhere else. Zarkon Heights has been designed to enrich the living experience of its residents in every possible way. The smart building structure has a centrally integrated security system for round-the-clock surveillance of its entrance, exits, and streets. Automated fire and smoke alarms, digitally controlled car parking, computerized billing and data keeping in addition of latest ICT technology connectivity make life worth living. Wake up to the stunning views of the Margallas, breath in the serenity that envelopes your abode in Zarkon Heights. Start your day like royalty, revealing every moment in the world of unparalleled comfort, class, and luxury. 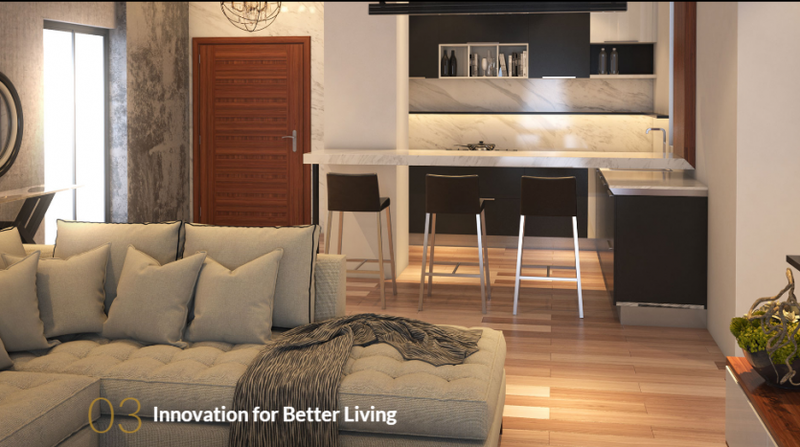 Zarkon Heights offers a unique lifestyle, meeting every need of urban living; this blend of functionality and luxury is what makes Zarkon Heights the most desired residential address in town. Zarkon International is a highly reputable and successful business that has been making its mark in the real estate sector for more than three decades now. 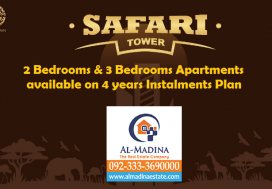 Since its advent in 1985 with Mideast Hotel and apartments in Karachi, it has come a long way in terms of experience and profitability. Zarkon International is one of the few organizations with ability to execute a project from inception to completion by itself. Thanks to our total commitment to excellence, Not only has Zarkon international established itself as a significant player in the market for its taught-fully designed high-quality innovative life spaces but has also won the confidence of thousands of their clients.